I saw that Garrett and Brooklyn started sending a new beer here recently. 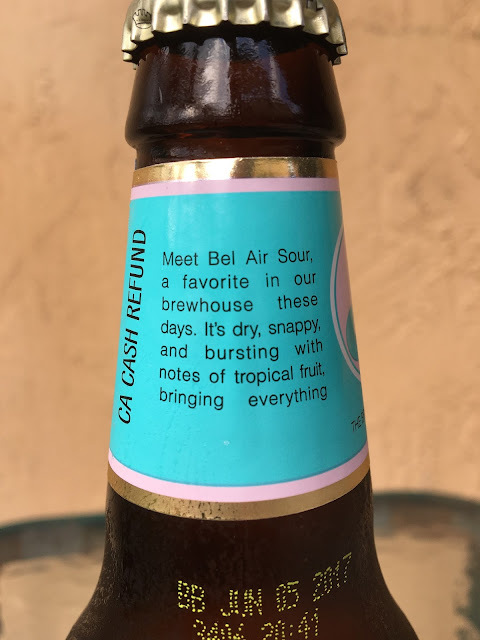 Bel Air Sour is packaged in an eye-catching Easter egg pink and blue labeled bottle. A story on the bottle neck sets your expectations, finishing with, "Sour, yet cheerful; weird, but true. "Best By JUN 05 2017. 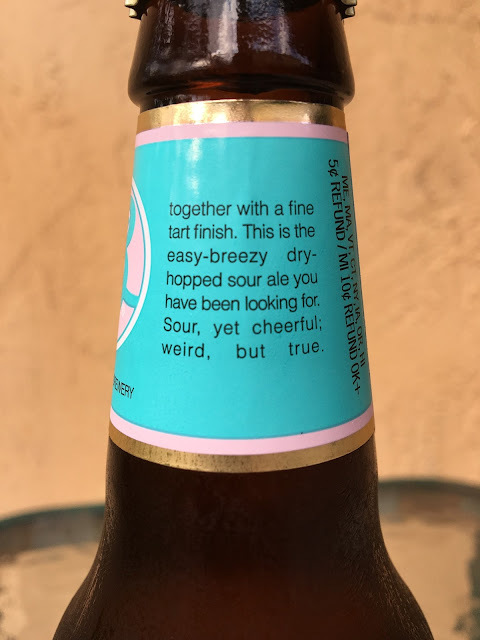 5.8% alcohol. 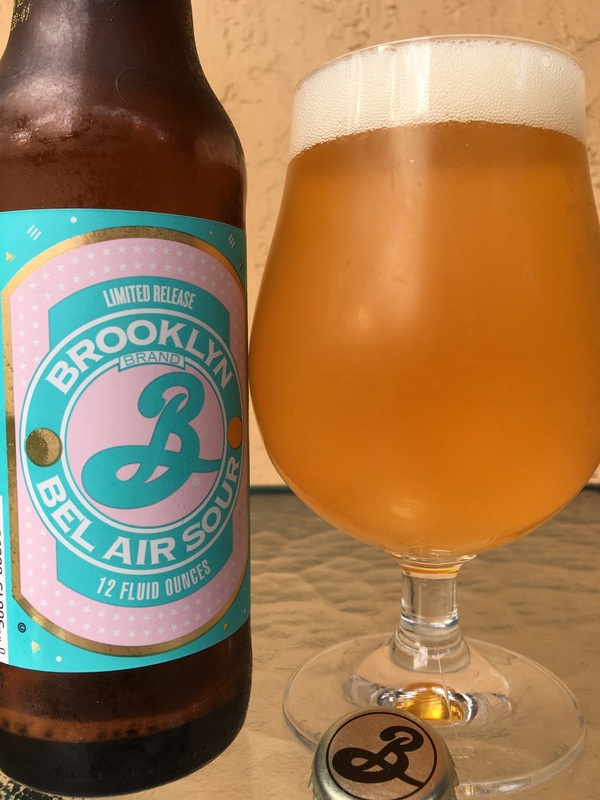 Aroma starts with some lemony tartness and salinity but shows off some big fruity peach as well. Neck-grab initial sip tartness, lemony and dry. Those are answered by some nice fruity and juicy flavors. And yeah, you'll get used to the tartness. Fruity, juicy, tart, sweet, acidic, citric, saline. All with a good bite! I liked it! Super interesting and nicely refreshing. Check it out.